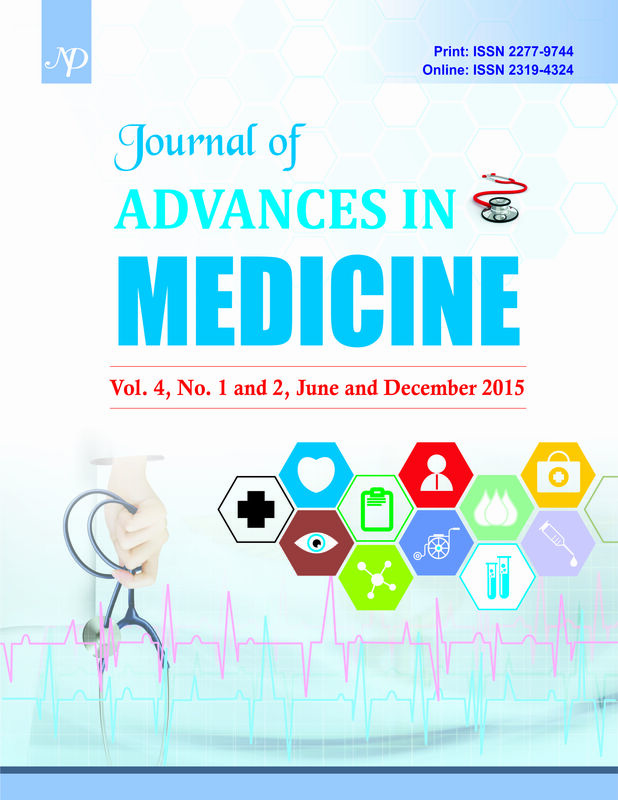 Journal of advances in medicine is a peer-reviewed, journal which focuses on all aspects of recent advances in medicine especially focusing on the use of new technologies in diagnosis and treatment. It publishes research papers, reviews, case reports, technical notes and short communication reporting significant results obtained using new techniques. Encouraged topic areas include laboratory medicine, endocrinology, biochemistry, pharmacology, toxicology, genetics, reproductive cycles, functional morphology, phylogeny, behavioural and regulatory mechanisms, including genetic, endocrine and molecular studies. Anatomy, Anaesthesia, Biochemistry, Community Medicine, Endocrinology, Forensic Medicine, Gastroenterology, Haematology, Internal Medicine, Surgery, Laboratory medicine, Microbiology, Nephrology, Neurology, Obstetrics and Gynaecology, Oncology, Ophthalmology, ENT, Physiology, Paediatrics and Neonatology, Pathology, Pharmacology, Plastic Surgery,, Psychiatry, Rheumatology, Toxicology, Dental sciences.